Where: The luxury motor coach leaves the Historical Society parking lot, 20 Zukor Road, New City, at 8:30 am sharp, and returns at 5:30 pm. We start with a two-mile, moderately difficult walk with elevations around Lake Minnewaska in the Minnewaska State Park Preserve, on the Shawangunk Ridge in Ulster County. 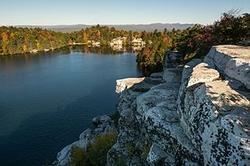 Minnewaska was originally part of the Mohonk Mountain House property owned by twin brothers Albert and Alfred Smiley. In 1879, Alfred built a new hotel overlooking Lake Minnewaska, Cliff House, and developed his property separately. New York State bought the land in 1987 and opened the preserve in 1993. 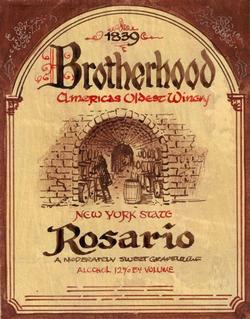 Then we travel to Brotherhood in Washingtonville for a tour and wine tasting at “America’s Oldest Winery.” Established in 1839 by the French Huguenot emigre Jean Jaques, Brotherhood has operated continuously to the present, including during Prohibition. The tour will highlight the underground cellars, as well as the picturesque history of the facility and its site.